Cambridge Innovation Center in St. Louis, MIssouri, was completed in 2016. In early 2016, HOK was asked a simple question by the U.K. Chapter of CoreNet: “Will co-working impact corporate real estate, and if so how?” That question lead to the October 2016 release of the white paper “Co-working: A Corporate Real Estate Perspective.” The paper addressed the impact co-working is having as a disruptor in the real estate community but also looked at what lies ahead for the industry. What is clear is that the co-working is now one of the biggest disruptors within the commercial real estate industry. In just over a decade, the number of dedicated co-working spaces worldwide has grown from zero to 11,000. By 2020, another 15,000 of these shared workspaces will come online and membership to these facilities could eclipse 3.8 million users. Co-working’s overall slice of the global real estate pie remains relatively low, but is expected to continue to grow and could reach more than 10 to 20 percent of the corporate office market in the foreseeable future, with some more aggressive predictions estimate it would be even greater. According to recent research from JLL, 30 percent of all commercial office space is projected to be consumed as “flexible space” by 2030. In addition, while approximately just 1 in 5 companies currently incorporate co-working as part of their real estate portfolio strategy, more than 2 out of 3 have noted that they plan to leverage co-working space going forward in some form or another. Changing work attitudes. Today, few people think of work as somewhere they need to go, but more as something you do, and can do anywhere. As many as 80 percent of knowledge workers report spending at least one day a week working remotely. Salaried workers now represent slightly more than half of all co-workers as more and many companies have leveraged access to co-working as a solution to workspace shortages and housing for remote or temporary staff. People thrive in communities. 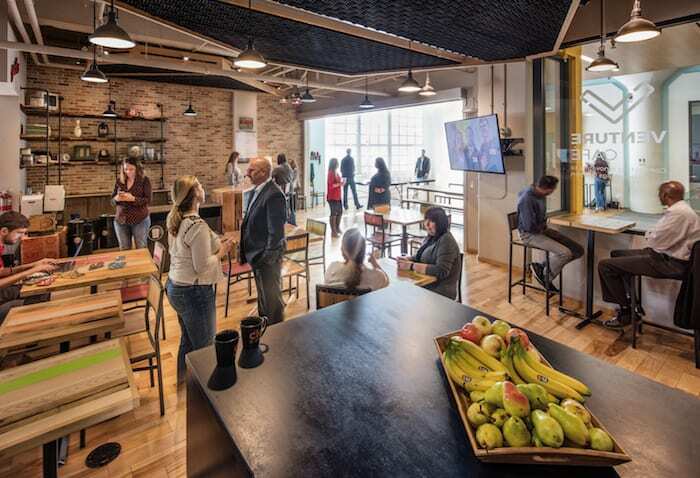 The key elements that feed the success of co-working spaces are their ability to give users what they need, when and where they need it while connecting them to a network of on-demand space and services transform the workday experience and is fundamental to the success of these spaces. 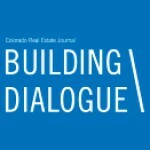 Co-working can be an asset in managing CRE. Several large companies have begun leveraging the vast availability of co-working spaces as a way to connect with innovators and tap into talent. For some, co-working affords them to commit to less permanent space while other use it as overflow space to meet changing staffing needs. The use of co-working space for many large companies is attributed to a need and a desire for quick and easy access to space with low barriers to entry and an easy exit strategy while giving their teams the options and choices they are looking for. Evolution to space as a service. In the past several months, we have seen co-working continue to evolve into new phases as the model gets adopted into new business models and settings. Co-working providers are also appealing to corporations with the emergence of the “managed office.” These spaces act like a serviced office but in a more traditional CRE leasing model. In many cases, traditional co-working companies are engaging this model and leasing large blocks of space, and in some cases entire buildings, so they can offer larger blocks of space to companies in need of such support. These managed offices typically offer some degree of customization and security while also providing the service of community managers. Added amenities do come with a premium, however, with fully serviced managed offices demanding an up charge of between 15 and 20 percent and an extended period of obligation to the space (typically three- to five-year commitments). Space where you need it. We are also seeing the emergence of a more risk-averse co-working model. In such a building owner offers available blocks of space free of charge to an entity that comes in to operate the co-working center thus sharing the reward and risk. This model alleviates the risk associated with longer-term leases and frees up all parties to react more quickly to changing market conditions, supply and demand. But we are also beginning to see more and more developers are starting to provide co-working space within their facilities as an amenity to their tenants. Based on its tremendous growth this past decade, it’s clear that co-working is much more than a fad. Co-working providers will continue to stretch and evolve the traditional real estate model and be a major disruptor to the traditional real estate delivery model. How disruptive that force will be remains to be seen, but a rebalancing is definitely in the making. “Work no longer happens in a single place. Thanks to technology and other resources, it happens in many places. The role that co-working plays in an organization’s palette of spaces must be based on its own DNA – not what others are doing or what the media portends to be the future of work. Although co-working space accounts for a small percentage of today’s corporate real estate market, its share will undoubtedly continue to grow over the next three to five years. Demand will be driven by new generations of entrepreneurs, growth of the contingent workforce and modest penetration of the corporate market. But supply will come at a higher cost and challenge operator margins as leases come up for renewal, existing players look to expand and new entrants join the market.